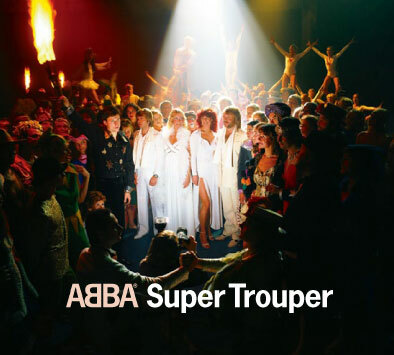 A couple of weeks ago ABBA fans everywhere erupted with excitement and anticipation when this announcement about the forthcoming Super Trouper Deluxe Edition was made. A week later many dreams came when the contents were announced. Most of the contents had already been guessed by fans on various forums, though there were a couple of surprises that no one could have anticipated. Alongside the expected CD bonus tracks is the previously unreleased stereo mix of the long version of ‘On And On And On’, with an additional verse and chorus not heard when the songs was released on Super Trouper in 1980. The mono mix has appeared on various VHS and DVD releases, and on CD in the 2005 box set The Complete Recording Sessions. The DVD includes many expected items – German TV appearances of several Super Trouper tracks and the special Words and Music. Completely unexpected is a brand-new featurette Somewhere In The Crowd There’s You – On Location With ABBA, with footage filmed on the night the elaborate album sleeve was photographed. As always there are some who have called the selections “boring” and “nothing new”. I don’t know how they can say that, with one all-new audio track fans have been clamouring after for 30 years, and 15 minutes of never-before-seen footage. I guess there’s no pleasing some people. Happily most fans seem happy with the content, with many already calling this the best ABBA Deluxe Edition ever! For more about the background of the Super Trouper Deluxe Edition see here. It is released on May 9.